The first deputy chief of the National Police, Vyacheslav Abroskin, has said that traces of Yuriy Rossoshanskyy's DNA have been found on the body of murdered lawyer and activist Iryna Nozdrovska. Abroskin said that Rossoshanskyy, who was remanded on suspicion of killing Nozdrovska, had confessed. "He told me: 'I do not repent and I will never repent. And I admit my guilt,'" the police chief said quoting the suspect. "Just yesterday we received the results of the first forensic examinations out of 70 tests, and the first results are already there. Yesterday, the results of the DNA forensic examination were delivered to court. Particles that belong to the suspect have been found on the victim's body," he told a briefing on Monday. Nozdrovska has long sought punishment for Dmytro Rossoshanskyy who killed her sister Svitlana with his car in 2015. Dmytro Rossoshanskyy is also a nephew of the chairman of the Vyshhorod District Court. In June 2017, Rossoshansky was sentenced to seven years in prison. On 27 December 2017, an appeals court sent the case back to the first instance for retrial and continued his arrest for 60 days. 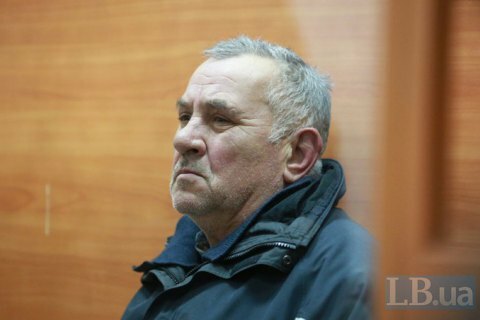 During the trial, the father of the accused, Yuriy Rossoshanskyy, publicly threatened Iryna. Polish PM: "tens of thousands fled the war in Ukraine"